This exploratory study investigates the effect of Pomegranate extract consumption on blood pressure (BP), insulin resistance (HOMA-IR), stress hormone levels (cortisol/cortisone) and quality of life in healthy human volunteers. 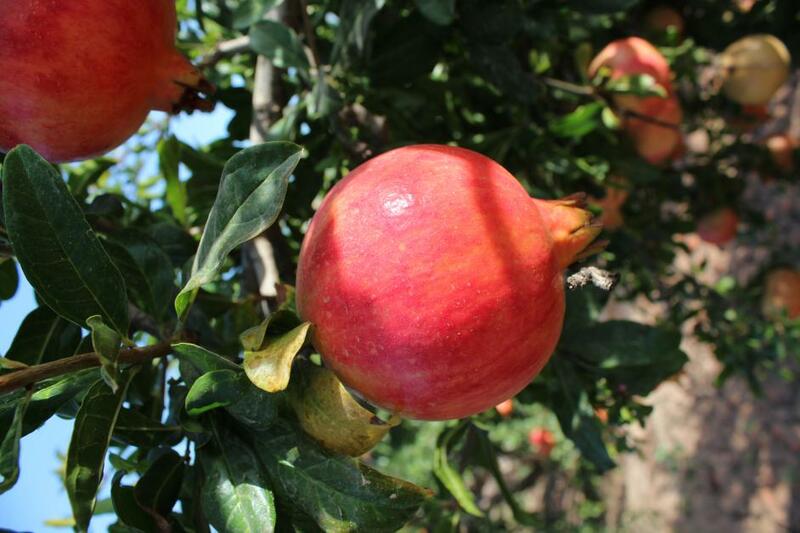 Pomegranate extract provides a rich and varied source of biophenols, which can act as powerful antioxidants. 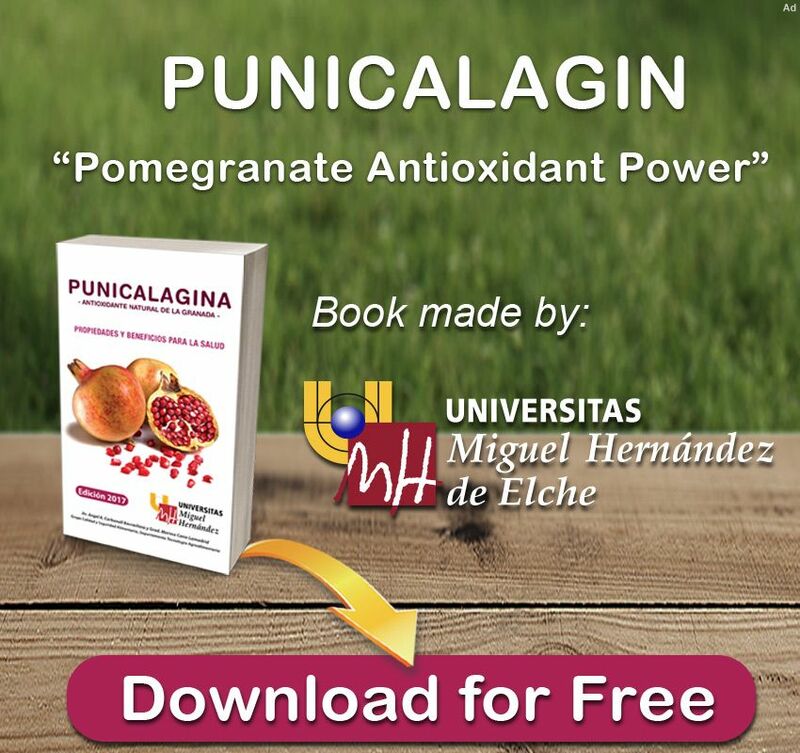 The most abundant being ellagitannins, anthocyanins, and ellagic and gallic acid derivatives. 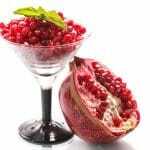 Evidence suggests that pomegranate juice consumption may alleviate cardiovascular disease (CVD) risk factors. This exploratory study investigates the effect of Pomegranate extract consumption on blood pressure (BP), insulin resistance (HOMA-IR), stress hormone levels (cortisol/cortisone) and quality of life in healthy human volunteers. Seven males and 22 females(n = 29) participated in a double-blind, randomised, placebo-controlled exploratory study (BMI: 25.05 ± 3.91 kg/m², age: 34.5 ± 13.7 years). 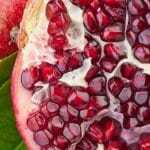 All participants consumed either Pomegranate extract or a placebo capsule daily, after a meal, for 4 weeks. Dietary history and habits and the health related Quality of Life questionnaire (Rand 36) were recorded pre- and post-intervention. BP, salivary cortisol and cortisone levels (am, noon, and pm) were assessed byELISAs, and fasting blood was obtained at baseline and after 4 weeks to compare glucose, insulin and insulin resistance parameters. 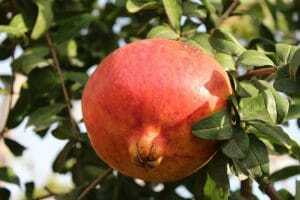 All participants randomised in the study completed the intervention.Systolic BP was significantly reduced following Pomegranate extract from 120.3 ± 13.3 to 115.6 ± 13.1 mmHg (P = 0.012). There was a reduction in the HOMA-IR levels from2.22 ± 2.62 to 1.61 ± 1.88 (P = 0.045), and glucose, insulin and uric acid alldecreased from baseline. No significant changes were recorded in volunteerstaking the placebo. 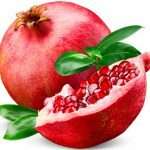 Pomegranate extract consumption caused a significant drop of salivary cortisol levels (am; 39.5 ± 19.6%, p < 0.001 and noon; 43.1 ± 32.3%, p = 0.016). The salivary cortisol/cortisone ratio was also significantly reduced (am from 1.11 ± 0.51 to 0.55 ± 0.26, p < 0.001, noon 1.57 ± 0.85 to 0.75 ± 0.72, p < 0.001 and pm; 1.22 ± 0.90 to 0.74 ± 0.59, p = 0.011). 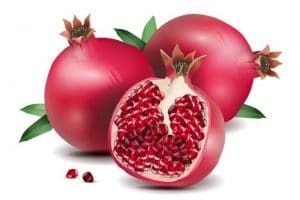 Physical (p = 0.018) and social functioning (p = 0.021), pain (p = 0.003), general health (p = 0.008) and overall Quality of Life score (p = 0.007) were significantly improved in those taking the Pomegranate extract capsules. The intervention was delivered successfully with no withdrawals. 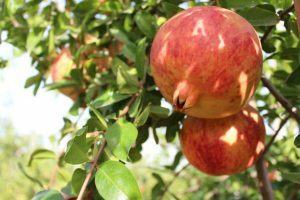 These results suggest that Pomegranate extract intake rich in biophenolsmay ameliorate cardiovascular risk factors, reduce stress levels and improve perceived health related quality of life. 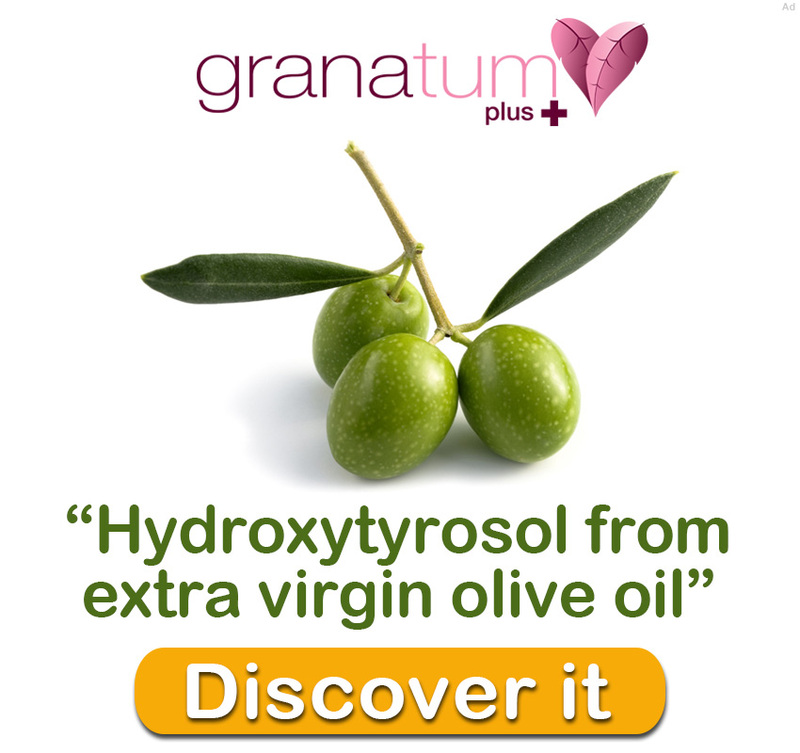 The reduction in salivary cortisol levels may prove beneficial for people suffering from chronic stress. This exploratory study provides useful information required to conduct a definitive trial.